If you have heard the phrase blockchain thrown around in one context or another but still aren't quite sure just what is being discussed exactly, don't feel bad. You are certainly not alone. The truth of the matter is that despite the fact that it has been around for less than a decade, the phrase blockchain already means different things to different people. Currently, when a person is talking about blockchain, odds are they are talking about it in relation to cryptocurrencies in general. Good start. It died at the end. Professionals from academia, business, the law, accountancy and administration all need to understand the basics of blockchain - what it is, how it works, and how it will change our lives. Written by leading expert Lucas Cervigni, this is the first accessible but intelligent guide for professional people. The book strikes a balance between a technical perspective of blockchain and the real life encounters that many of us will (or already do) have with it. Unearth the world-changing secrets of blockchain technology! 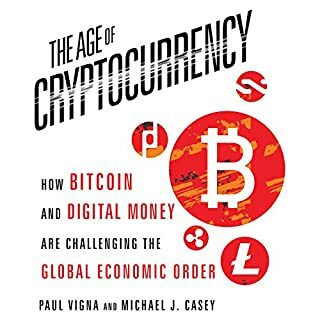 Download this audiobook to delve into the fascinating world of Bitcoin, digital currency, and the blockchain revolution! 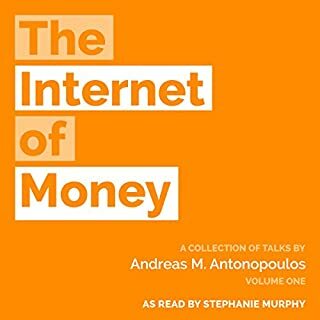 Inside this audiobook you'll find out what blockchains are, how we use them today, and their potential for changing the banking industry as we know it! In simple, easy-to-understand language, this book explains how blockchains can be used by public and private organizations. This technology will rock the financial world - and reach far beyond! Don't wait another second - learn about tomorrow's financial technologies today. Get the timely information you need to beat your competition and profit from the fast-changing financial market. Download your copy of Blockchain right away! Audio was read by a monotone computer voice not a narrator so was hard to listen to and understand. Good information though. But I suppose that goes with the territory. It covers the topic in a broad sense but to use it you will need to delve deeper for sure. This book starts strong with the introduction and finishes reasonably well by urging the reader to learn more. In between both ends of the book seems to be recital of endless lists of who is using blockchain and for what. The content could just as well be someone regurgitating the results of a Goggle search. Company A does this, company B says they will do that, company C plans to do the other, company D is working with Company A, and so on for the entire book. Little content beyond a description for each company, and chapter after chapter. On the upside if you want to know who is doing what with blockchain and you do not want to do a couple quick searches online, this book is perfect! This book did a great job of slowly introducing the blockchain to the reader and connecting it to concepts already known. If you already know how the blockchain works and just want more information about what is going on with it, just skip to chapter 8. The book promises a guide to blockchain technology, but fails to deliver a guide. It steps over certain crucial and complicated concepts making it difficult to understand for people new to the blockchain. In other chapters there is a lot of unnecessary detail in examples. The complete list of bank projects with redundant details on linkedin quotes and hackathon winners of 2014, doesn't teach the reader anything. They could have given examples and analogies explaining all concepts and jargon much better. If you want to learn how the blockchain works this is not the book for you. If you could sum up Blockchain in three words, what would they be? Have you listened to any of Dave Wright’s other performances before? How does this one compare? 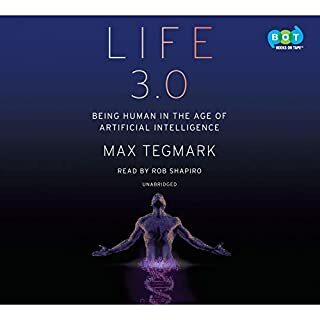 No this is the first i am listening to Dave Wright and the performance is simply awesome..
No i don't any extreme reaction towards this book. 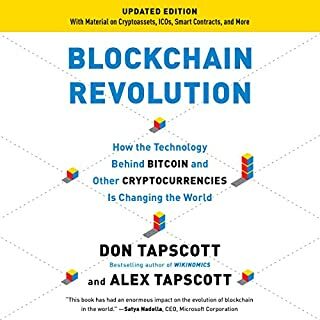 Blockchain is the future and I highly recommend that you read this book to get an in-depth overview of this innovative technology. 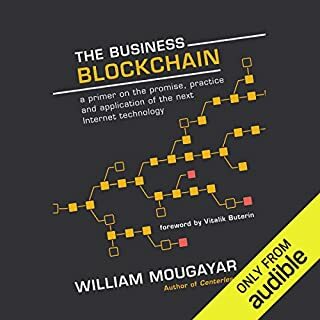 The book is a must listen book to understand and have ideas on all the promises of the blockchain technology and what is already being done today with it. I would say that this is very important because there is an individual like me who does not even know what do blockchain does and what is the purpose of it. 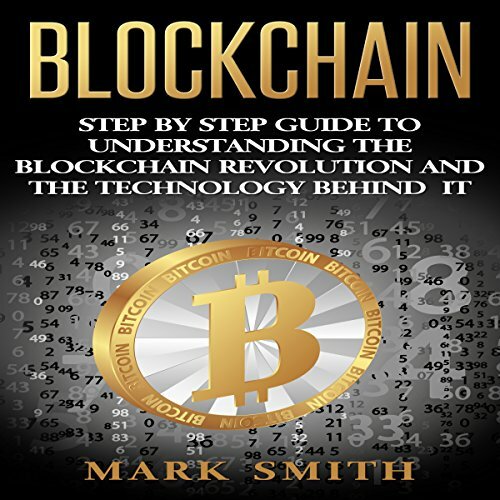 by listening this book you will really understand what is blockchain technology. I salute the author of this book. this has a very clear content and very easy to understand by the listener. Super Informative! This educates me with so many things about blockchain and bit coins which is very helpful to me specially that I am a beginner to this kinds of stuff. 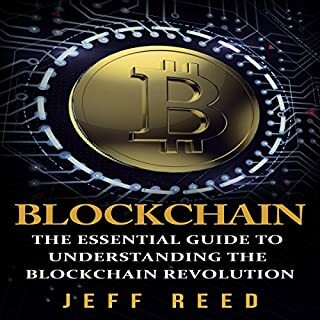 The book is easy to follow and most of the topics are understandable so even beginners like me can easily understand how blockchain world rotates.